There is no substitute of natural looking glow and beauty, and the start of natural beauty and glow is healthy and simple food and lots of water if you eat well you will look well and then if you are healthy inside then there are few very effective and easy Beauty Tips For Face Glow and healthy looking skin and here are few of these for you. Here is a mask for glowing skin instantly, you just need two tablespoons gram flour and one lemon and make a thick paste and apply on face and neck and after 10 or 15 minutes scrub your face in circular motion and then wash with fresh water and then moisturiser with any simple moisturiser. 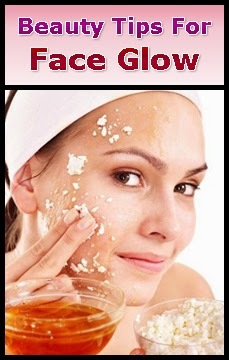 Another mask for Glow face can be made with tablespoons of cornmeal flour and one spoon of olive oil, you can add a very little water to make thick paste, now scrub for 10-15 minutes and wash with lukewarm water and you will see the difference immediately. One of my most favourite masks for glowing skin is one that made with honey, take two teaspoon of honey, one lemon and mix it well and apply on your face and neck for half and hour and then wash with warm water and you will see a soft and crystal clear clean and shiny glow on your face. And there are some of day to day Beauty Tips For Face Glow that you can do even with out any effort, drink lots of water, fresh juice, green soups, fresh vegetables and drink three coups of green tea at lest in a day. All those fruit that you like and you are not allergic to, are good for your skin too, you can apply direct juice to your face too and keep it on your face for at least 15-20 minutes, then wash it with cold water. Keep your skin clean and neat, don’t touch your face too much, don’t use too much make up, and don’t eat rubbish to look perfect. Never go to your bed with any kind of cosmetic on you face, remove any kind of make up or product on your face. Last but not least, be the most happy and the most positive person you know. 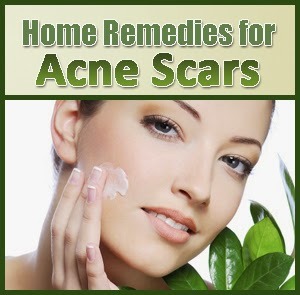 Today I am going to show you how to remove acne scars by using effective home remedies.These home remedies can be used by both girls and boys to get rid of acne scars in few days. Lemon juice is natural bleaching agent.Lemon is a rich source of vitamin C that help in the lightening scars.Squeeze one lemon in a bowl and add two three drops of rose water in it.Apply this juice on your face gently with cotton ball.Leave it on your face for 40 minutes then wash your face with cold water. Coriander gives soothing effect to your skin.Take two tablespoon of coriander juice , add two pinch of turmeric powder in it , apply this mixture on your face with cotton ball , leave it on your face over night wash your face in the morning. Egg mask is the one of the most popular home remedy for acne scars.Take 1 egg white ,3 tablespoon of Honey , 3 tablespoon of Lemon juice , 2 tablespoon Yoghurt . Beat the egg white very well , now add honey , lemon juice and yoghurt to it and make a mixture . Apply this egg mask on your face for about 20 minutes. Wash your face after 20 minutes. You can also use aloe vera to remove acne scars. Apply aloe vera gel on your acne scars and leave it to dry then wash your face with fresh water. Tomato is widely used to remove acne scars.Cut a tomato into pieces.Crush the tomato pieces and make a pulp.Apply this tomato pulp on your acne scars and leave it for at least 15-20 minutes.Now wash off your face. Cut a garlic clove in half then rub it to the acne scars.Leave it for 15 minutes , then wash off your face. 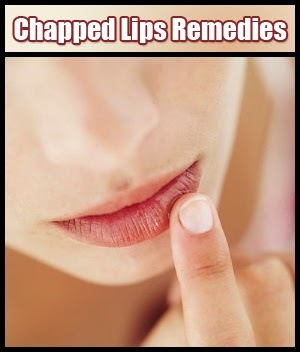 Unlike other body parts the lips don't have the ability to produce natural oil , when the weather changes , lips may crack become dry or chap.So , here today I am going to share some home made tips for cracked lips. Mix rose water and honey in a bowl , Apply this mixture on your lips for about 15 to 25 minutes. Then wash off your lips. Dip black tea bag in a boiling water , and wait until it is lukewarm. Press teabag on your lips this will help to increase the moisturise level in lips. Take a bowl of crushed cucumber , extract out the juice of cucumber and apply this juice on your lips , Leave it on your lips for 20 minutes , Wash off your lips after 20 minutes with normal water. You can also use aloe vera gel for sun damaged lips, Fresh aloe vera gel will exfoliate and moisturise your lips. Today I am going to share some beauty care tips for your to make your hands soft , smooth and beautiful. 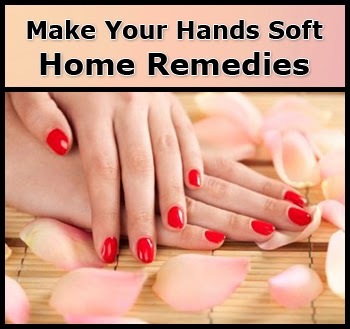 These tips are very effective and all the ingredients are easily available in your home.Use these home remedies to get beautiful younger looking hands. Mix sugar and olive oil well and make a mixture of it , apply the mixture on your hands , Use your fingertips to massage the mixture on your hands . Leave the mixture on your hands for 15-20 minutes. wash it off with lukewarm water. Oil moisturises the skin and sugar exfoliates dead skin cells. Take 2 teaspoons of melted butter in a bowl then add 1 teaspoon of almond oil in it , mix it well. Massage your hands with this mixture for about 5-10 minutes , Leave this mixture on your hands for 15 to 20 minutes. Wash off your hands with lukewarm water .This remedy is effective in making your hands soft and silky.